My primary purpose is to inspire others to understand they are always capable of more than they ever thought possible. 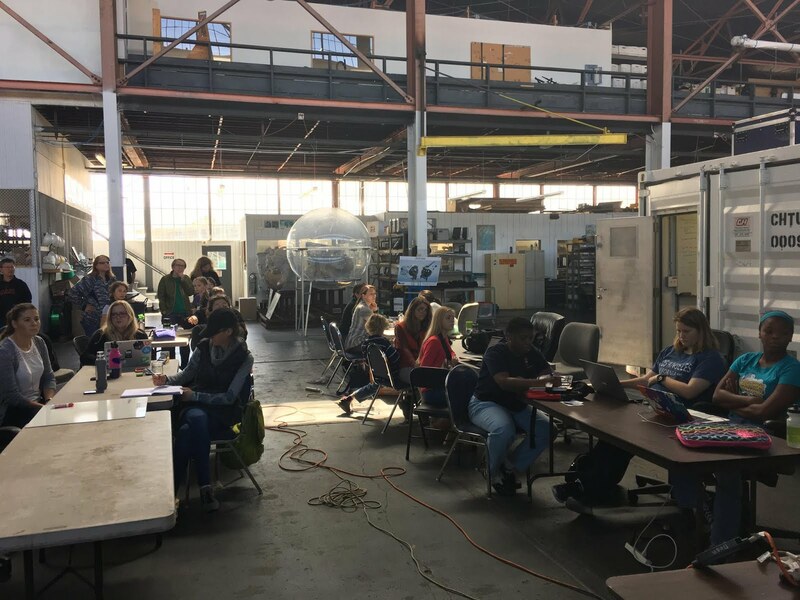 With one of the fastest growing space industries right here in Colorado, the Mile High City of Denver is the perfect place to host a NASA Hackathon. Add the inspirational setting of the state-of-the-art Denver Museum of Nature & Science (DMNS), including the Space Odyssey Exhibit run by Phd-level staff, and you have a space geek's ideal setting to host NASA's largest hackathon on the planet, with over 60 countries competing at over 200 sites. Special thanks to the key members of the space community that made this event possible, including Steve Lee at the DMNS and Caley Burke, a Flight Design (Trajectory) Analyst in NASA's Launch Services Program at NASA Kennedy Space Center and a graduate of International Space University. Two teams went on to compete at the global level. The youngest competitor this year was six-years old; and he worked on a project to track rocket launches. The Turing School of Denver, Colorado was represented on both winning teams, and both team leads for those winning teams are from Turing. The awards for the winners were designed and 3-D printed in collaboration with the Idea Lab at the Denver Public Library in downtown Denver, a free Maker Space open to the public. Use NASA & UN data to track resources for Displaced Persons at the site. For example, where is nearest water supply, water bottles on hand, surplus & scarcity. Waze for fires; allows citizens to take photos & upload information to share real-time with each other and rescue teams. Flynn was on the tech team for four Games for the U.S. Olympic Committee, and is also a wilderness and leadership instructor for Outward Bound. She puts on Girl's Underwater Robot Camps and hosted a Girl's Epic Guide to Building a Submersible Hackathon with the U.S. Department of State Division of Global Partnerships and ocean explorer Dr. Sylvia Earle. She has partnered with NASA for four events, including the Jacksonville & Amelia Island, Florida NASA Space Apps Challenge held last year in partnership with the NASA Kennedy Space Center. An award-winning writer whose portfolio includes being the first out lgbtq managing editor of Jacksonville Magazine in Jacksonville, Florida as well as a sport's columnist for the Olympic Games, Flynn is currently writing the book A Girl‘s Epic Guide to Inventions. Gemma (left of Michelle Obama in photo) is the CEO and cofounder of Discovr Labs, an immersive education content studio and startup which uses VR/AR immersive technology to deliver the most effective education and training experiences. Gemma was just named to Forbes 30 under 30 to watch. She was born in El Salvador, immigrating to south Florida, and eventually Los Angeles, California. While in high school, she helped run Hack Club, a nonprofit that helps high schoolers all over the world start coding clubs. Gemma graduated high school early to start Discovr Labs. Discovr partnered up with Unity, the world's leading 3D engine, to bring immersive education programs to life, becoming their Education Programs & XR Specialist. Gemma shared the cover of Seventeen magazine alongside Michelle Obama and was featured in Marie Claire. She also recently became a Thiel Fellow. The fellowship, funded by Peter Thiel, encourages talented young people to pursue big ideas and start companies instead of attending college. Herb recently retired from NASA after 42 years of service. He spent most of his career at the Johnson Space Center in Houston, Texas supporting the Space Shuttle, Space Station, and Orion Programs but also worked at the Kennedy Space Center in Orlando, Florida and NASA Headquarters in Washington, D.C. His last position was serving as the Manager of the Operations Support Office which provided support to the Flight Operations Directorate and included support to the Astronaut Office, Mission Control operations, NASA’s Aircraft Operations at Ellington Airport, and astronaut training in both the Neutral Buoyancy Lab and the Space Vehicle Mockup Facility. He has a degree in business administration from the University of Texas and in 2010 was awarded the NASA Exceptional Service Medal. A Creative Visionary, Speaker, Author & Social Innovator that is committed to impacting humanity on a global scale. She was named Long Beach Post’s 2016 “40 Under 40” Winner, and she is a Commissioner on the Commission for Technology and Innovation for the City of Long Beach. She has cultivated the “Art of Fearless Asking” to “magically manifest” her visions into reality. She is the founder of Wonder Women Tech, a global conference platform highlighting, celebrating, and educating women and diversity in STEAM, and has launched Junior Innovation Camps for underprivileged kids. She is founder of two hackathons–Hacks 4 Humanity, a hackathon for Social Good, and Wonder Women Hacks, a hackathon to address challenges facing women and girls. Lisa Mae is currently on the Advisory Board for the California Women’s Conference and InnovateLA, which produces LA’s Innovation Weeks in October and speaks at conferences, events and universities. Lisa Mae recently created The Wonder Women Tech Show, a talk show web series that highlights pioneering women in STEAM, innovation and entrepreneurship. Lisa Mae organizes socially innovative projects, like the global “I Am Equality” photographic campaign, which launched in 17 cities and 5 countries around the world. She has hugged over 8,000 people with her Love, Hugs and Inspiration Campaign. She volunteers with the Long Beach Code for America Brigade, and other tech initiatives geared towards civic engagement and community building. She helped organize a global #Fishackathon with the U.S. Department of State and is excited to build long-lasting global partnerships to expand the vision of Wonder Women Tech. Dr. Shawna Pandya is a citizen-scientist astronaut candidate with Project ​PoSSUM ​& ​Untethered Exploration​, physician-surgeon, speaker, martial artist, advanced diver, skydiver and pilot-in-training. She holds degrees in in neuroscience (BSc Hons. Neuroscience, University of Alberta), space (MSc Space Studies, International Space University), entrepreneurship (Graduate Studies Program, Singularity University) and medicine (MD, University of Alberta), and is currently completing concurrent fellowships in Wilderness Medicine (Academy of Wilderness Medicine) and Enhanced Surgical Skills (University of Saskatchewan). Dr. Pandya was appointed course instructor for ​Project PoSSUM’s EVA 101: Space and Wilderness Medicine​, which ran its first iteration in Colorado in September 2017. Prior to this, Dr. Pandya successfully completed Scientist-Astronaut Candidate training with Project PoSSUM (Polar Suborbital Science in the Upper Mesosphere) and was on the first crew to test a commercial spacesuit in zero-gravity, and has continued to tests commercial spacesuits with Project PoSSUM’s annual microgravity parabolic flight campaigns. As part of Project PoSSUM, she also completed slow onset hypobaric hypoxia training, centrifuge studies, aerobatic flight, basic and advanced emergency spacecraft egress and sea survival training. In 2016, Dr. Pandya was also named to the Untethered Exploration Citizen-Scientist Astronaut Corps Project PHEnOM (Physiology, Health and Environmental Observations in Microgravity). As part of her training with this project, Dr. Pandya spent a 2-week tour at the Mars Desert Research Station analog in Utah as the Crew Health and Safety Officer. In 2016, Dr. Pandya was appointed as the Life Sciences Team Lead for Association of Spaceflight professionals (formerly ​Astronauts4Hire​), and has undertaken to further her team’s experience and skills in developing research, technology and payloads related to space medicine and life sciences. Dr. Pandya’s research interests center on resilience and performance in extreme environments, as well as reproduction in long-duration spaceflight. Her published works include articles on neurosurgical robotics, and book chapters on space technology spin-offs benefitting every day medicine on Earth, resilience in long-duration spaceflight and reproduction in long-duration spaceflight. In her spare time, Dr. Pandya practices Taekwondo (as a second degree black belt) and competes in Muay Thai. 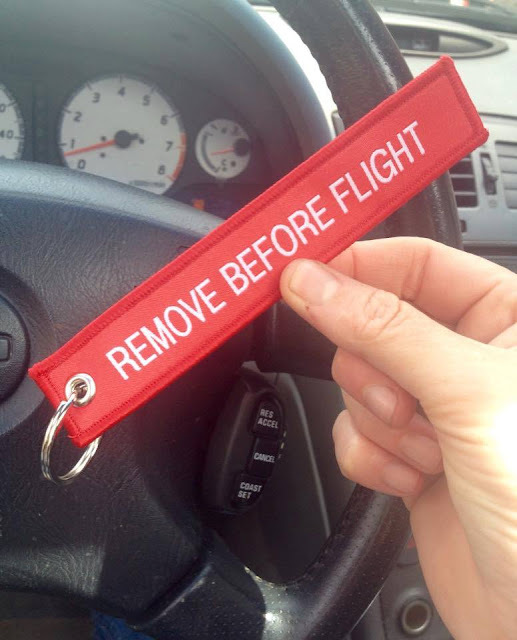 She is currently working towards her private pilot’s license, and holds her accelerated free fall solo skydiving and numerous SCUBA diving certifications. You can follow Shawna online on Facebook at ​Dr. Shawna Pandya​, on ​Twitter & ​Instagram @shawnapandya . Smoot grew up in a small town in Idaho. From there he set out to build tech companies based in Seattle, Hawaii, and Los Angeles. After co-founding and selling 3 tech companies throughout his 20's, he repositioned his focus on how tech companies can thrive in tier two and three communities. Through his research, he has founded Innovation Collective and Mountain Man Ventures to redefine how communities large and small participate in the global innovation economy. He holds a deep belief that inclusive economic prosperity and authentic community are inseparable. 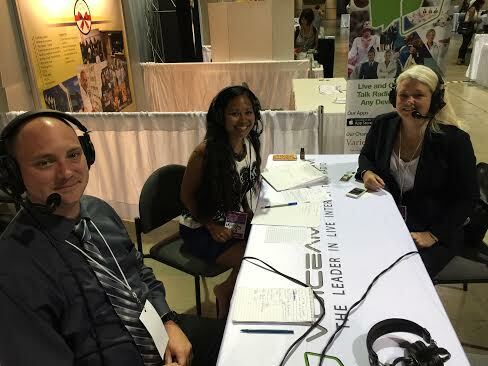 The Innovation Collective Leadership Network (ICLN) is an intentional network of leaders committed to growing together and purposefully developing themselves. The ICLN Operates in cities and towns where Innovation Collective has a physical presence. Dinners of the past have included leaders from SpaceX, Facebook, Boeing, Microsoft, Walmart, Qualcomm and Accenture. Smoot created ThinkBigFestival.com that brought together world-renowned experts, robots, concerts, parties, a tech carnival and speakers from around the world descending on the lake town of Coeur d’Alene, Idaho with one goal: celebrating the future of robotics and AI. The festival included the inaugural Burt Rutan Nonsense Award. Rutan is a legend at NASA and in the aerospace industrty, having successfully designed 46 aircraft, won the Ansari X-Prize by flying the first privately funded spacecraft into space twice in a two week period and helping develop the canard configuration and mold-less composite construction, and designed the Stratolaunch. Nick is a Milken Institute Young Leader and was a member of the Young Entrepreneur Council. He has been interviewed for or contributed to Bloomberg, Forbes, USA Today, Fast Company, Mashable, Virgin, Inc. Magazine and Huffington Post. He has been a speaker for SXSW, VentureBeat, BBC, Rise of the Rest, and A-Tech. Erica just returned from a trip to Arctic with Sedna Expeditions, run by Explorer‘s Club member Susan Eaton and comprised of an international team of women ocean explorers, scientists, journalists, movie-makers, photographers, artists, educators and scuba diving professionals. Erica taught Inuit girls how to build remote operated vehicles. Erica is the STEM Director for St. Petersburg College, the Director of the Center for Open Exploration as well as the head of the Maker Lab for the city, and serves on the board of the Marine Technology Society. She earned her Master’s degree in Conservation Education while living with the Aarwak Amerindians in Guyana, South Africa and received her B.S. from the University of West Florida. Inducted into Beta Beta Beta, the biological honor society in her undergraduate years, Erica also spent a semester on board The Spirit of Massachusetts, traveling from Maine to Haiti. Previously an instructor and biologist for 10 years at HCC , she designed, developed, and implemented continuing education & environmental education courses. Erica was one of a team of four scientists who placed the aquaculture experiment Fish in Space on Space Shuttle Mission STS 95, which included Astronaut and Senator John Glenn, Jr.
Erica has been scuba diving since she was 13 years-old, and is now a Master scuba diver, an AAUS Certified Scientific Diver and holds certifications in Nitrox diving and rescue diving. Coffee is as important to a tech competition as rocket fuel, so please stop by the Starbucks on the corner of Speer Boulevard in Denver and thank them for providing the coffee to fuel all of the competitors. 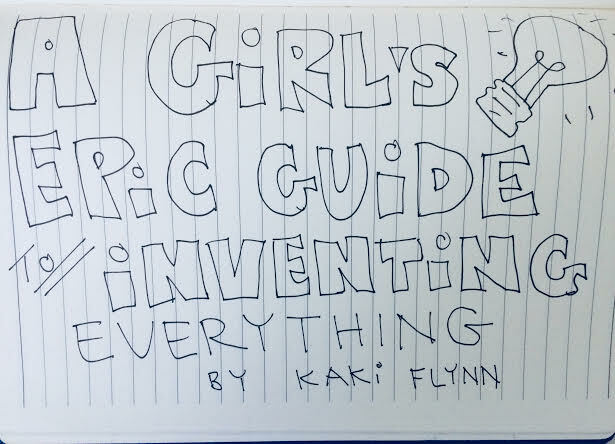 A Girl’s Epic Guide to Inventing Everything’ by award-winning author Kaki Flynn is a book of stories about famous female inventors with a workbook for the girl-inventor to begin working on her own inventions! An Inventor’s Toolkit as well as a guide to registering your invention is also included. Flynn wrote in her diary as a 7-year old, ‘work on inventions’ as her favorite hobby, but did not have access to the right mentors to continue that dream. Inspired by her own childhood dreams, as well as current work partnering with NASA women on Hackathons and workshops, Flynn saw the need to give these girls information not just on how to solder a circuit board, but how to literally ‘think and act’ like an inventor. “We need today’s kids to reinvent this world - whether it’s thinking of new ways to get us from one place to another (flying skateboards? Maybe!) or how to deliver medicine and food to other kids around the world,” says Flynn. "Girl’s are here to change the world for the better, and I want us to give them the tools they need to do it. Getting girls to think and act like inventors; this is a step beyond building. It’s ‘First Principles’ for girls," says Flynn. First, hear stories about women and girls who saw the world in a different light; then grab your inventor’s notebook and head out into the world. A problem is a girl’s invitation from the universe to build a new thing that benefit us all. This inventor’s mindset will empower girls to start seeing ways to make the world better for lots of us. It’s learning to think and act like an inventor that will truly get you to see the world with new eyes, then get going creating new things that will change it! The book and companion workbook will be published on October 21, 2019. Winning team from Fishackathon held at DOER Marine and hosted by Liz Taylor & Kaki Flynn. The Girl Scouts and members of the Rooftop Alternative School, as well as tech mentor Heidi Proske from Capital One. As much fun as you would imagine it to be co-hosting a hackathon for women and girls at the home of Dr. Sylvia Earle and Liz Taylor, the CEO of DOER Marine. We were excited to host all of the Girl Scout Troops and ocean friends that came to the Fishackathon this Earth Day weekend, and look forward to all of the upcoming ocean events that will be hosted here as well. The U.S. Department of State Division of Global Partnerships supported this Fishackathon, held in over 40 sites around the globe. In addition to the hackathon at DOER Marine (Deep Ocean Exploration Research) we had a speaker from NASA, Liz Cunningham from the Outward Bound Center for Peacebuilding, as well as mentors that included professional sailor, aerospace engineer and successful technical start-up founder Nehal Gajjar as well as technical diver and Mission Blue board member Carolina La Rotta Dratva. A marine biologist and ocean photographer popped by as well to help out the girls. Heidi Proske, an app developer for Capital One, was a key technology mentor on hand. One of the Girl Scout leaders, Yvonne Nunn from Troop 33184, brought Girl Scouts Michelle and Yahkirah. Nunn, who is in the U.S. Coast Guard, appreciated hearing from the NASA speaker, who highlighted the importance of diversity and inclusion. In an innovation lab filled with prototype submersibles, remote operated vehicles and great people, these kids thrived and came up with brilliant ideas. The Remote Operation Vehicle Command Center. The same way the people in the command center at NASA are key to the success of a mission, the same goes for the people that are 'topside' in an ocean expedition. Hackers hard at work at Dr. Sylvia Earle's Innovation Lab called DOER Marine, run by her daughtet Liz Taylor. What if the retrieved ghost nets could be made into a reusable sustainable building material? OCEAN OF GIRL SCOUTS. 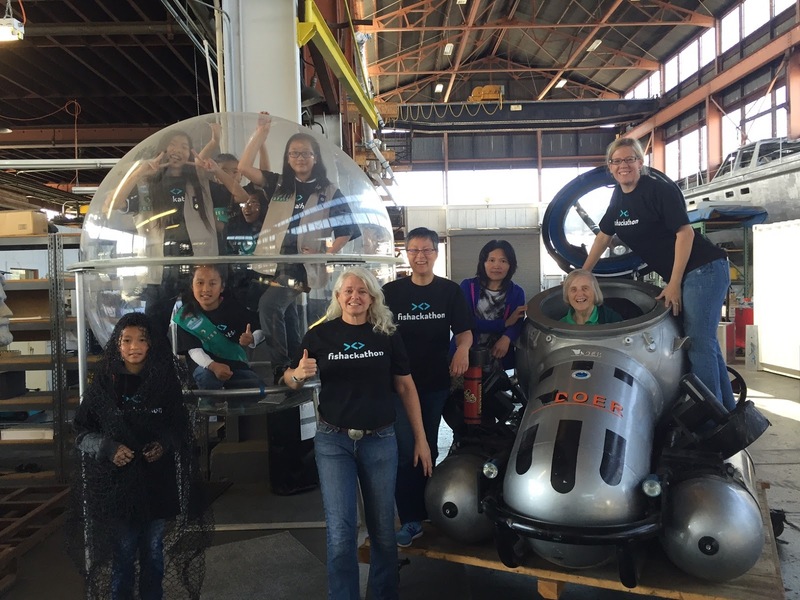 Just one day with Deep Ocean Exploration Research CEO Liz Taylor, and these #GirlScouts are ready to build a submersible, explore the ocean and change the world. Tackling #ghostfishingnets is awesome. Some great ideas for repurposing nets here. My kind of kiddos. @subseaconcierge @girlscouts #girlscoutsrock @mission_blue --> KakiFlynn.us @melindafrenchgates : Girl Scouts designing submersibles. Yeah! Now THAT'S women in tech. Ghost Nets are a very real problem. Using the DOER TrackNet app, fishermen could alert the Coast Guard that they have found a ghost net. Citizens could enter information that would help to geotrack entangled marine life and build a databank of information about problem spots. Ghost icon signaling a net (with animal icon if entangled) when the net is retrieved, the users personal animal icon signals all clear. Using the DOER TrackNet app would encourage the creation of a community of doers working together to help the ocean. Instruction for youth activity - Educating youth groups (Girl Scouts, Boy Scouts, etc. through the hands-on experiences, empathy activity using ghost nets and the design of a badge/patch using ghost nets. The app will allow youth to submit their suggestions of ways to repurpose nets. The app will educate and engage the public on the issue of ghost nets by giving the average citizen an opportunity to help the ocean and the biodiversity, that in turn supports us all. The DOER TrackNet app will also serve as a valuable STEM/STEAM education resource helping citizen scientists to gather and share valuable data on the issue. What if fishermen could make a living fishing for ghost nets, instead of fish? Fishermen need to be able to make a living to care for themselves and feed their families. The app would provide a general estimate of the value of a haul of ghost nets based on estimated dimensions/tonnage. Introducing Fiber-Reinforced Netting Panel (FRNP) Re-use of ghost netting as a reinforcing material combined with cementitious or fiber glass building material would allow for a free form panel. Environment - Helps the Ocean! Open source data will with Deep Ocean Exploration & Research (DOER) – Raises awareness of ocean research, use of ROVs and the multigenerational contributions of DOER (founded by oceanographer Sylvia Earle and current CEO daughter Liz Taylor). How do women & girls tackle the problem of ghost nets in our oceans? 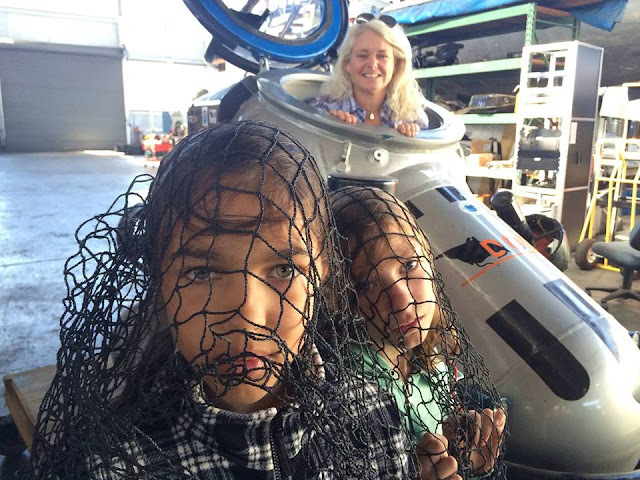 They visit DOER Marine to learn with Kaki Flynn & Liz Taylor for the Alameda #Fishackathon. Only make believe. What would it feel like to be a harbor seal caught in a ghost net? Power to the Doers! #codeforfish Alameda #Fishackathon at DOER Marine. If you want to host a hackathon or other event at DOER Marine, please let us know and we will customize a fun event for you, whether it's kids or big kids trapped in adult bodies. George Taylor, 8, along with his parents, Ian and Adina Taylor, won the NASA SpaceApps Challenge for the Jacksonville and Amelia Island, Florida area, earning the team a spot in the Global competition as well as the People's Choice Awards. This hackathon was put on for free as a partnership between KakiFlynn.us and the NASA SpaceApps Team. Space Geeks are invited to join KakiFlynn.us at the NASA Space Apps Challenge, being held April 29 - 30, 2017. We are hosting the North Florida site that draws competitors from Jacksonville and the surrounding area, all the way up to Amelia Island, Florida. Over 15,000 citizens from 61 countries and in 161 cities around the world participated in the 2016 International Space Apps Challenge. The top team will have their idea pitched to NASA. All ages are welcome, and all skill sets and backgrounds are strongly encouraged to apply. 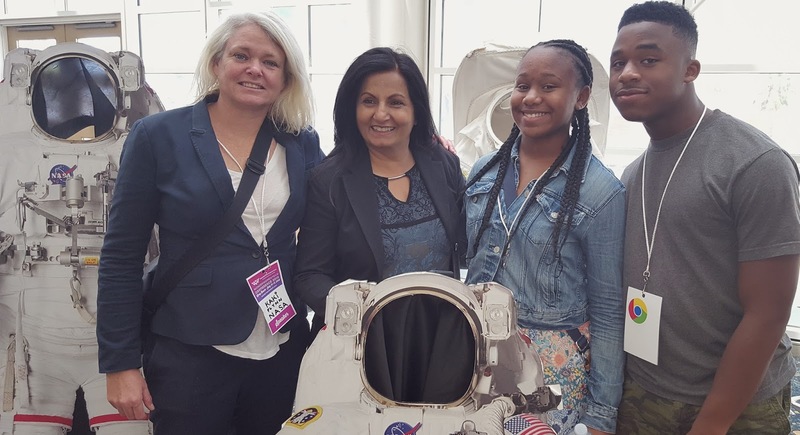 Whether you are a part of one of the hottest local tech start-ups in Jacksonville, retired with an advanced degree in engineering, a space camp kid, a guide at Kayak Amelia or a teacher in the local school, everyone comes to the table on equal footing at the SpaceApps Challenge. The wider the scope of experience, the better chance you have of developing an innovative idea. Tackle a challenge using robotics, data visualization, hardware, design and many other specialties. Registration is free; it's okay to show up as a team, or show up on your own and join a team! The host site is a short walk to both the Amelia Island harbor; or take the Amelia Island trolley to the beach and work on your project there. Camping at Peter's Point is free for Saturday night for those that want to stay over. The Experimental Aircraft Association is offering free flights for participants out of the Amelia Island Airport from 9am - 1pm that are under the age of 17 and have a guardian present. 3. Show up at the Amelia Island Coffee Shop on Saturday; you are free to work on your project at multiple sites around the Island. Pack a lunch; or places to eat within one or two blocks of Amelia Island Coffee Shop. Wrap up for the day. Teams can continue working on site, or at local venues around town. Can stay overnight; free camping at Peter's Point. Car camping or Tent camping on the beach. Must bring own gear. Will be astronomy lesson on the beach for those that camp. KakiFlynn.us was excited and geeked out to organize three events highlighted by a Q&A with NASA Astronaut Nicole Stott for the Wonder Women in Technology Conference founded by Lisa Mae Brunson. Collaborated with NASA Astronaut Nicole Stott for this Q&A focused on performing at a high level under all conditions. Stott, who has lived over 100 days in space on International Space Station and as a crew member of the Space Shuttle, is also a world-record holder for her saturation dives with NEEMO, the NASA ocean program. For extreme environments like space and the ocean, that means taking a hard, fearless look at dangerous situations to be able to handle the pressures that are a part of being an astronaut, as well as an experimental pilot like Stott. On the other end of the spectrum, we talked about the joys of being a part of a high-operating team, and the lifelong friends that you build from being together in those unique environments. A key lesson that Stott brought home from space is the shared experience that many astronauts express; known as the "Overview Effect" - it's the altered perception of our tiny planet that comes from being able to see it spin below you from the ISS every 90 minutes. That's Dunn of SpaceX in the front-row and center in the NASA astronaut suit we brought, because she's the only one in the room that was one of the current 18,000 NASA astronaut applicants waiting to see if she has a spot for the upcoming class. While I'm no astronaut, as a professional wilderness instructor, I deeply value people like Dunn that do that hard, hard work figuring out the logistics behind equipment to both keep us all safe and allow us to enjoy the view along the way. A woman in the audience had a question about being able to be a deaf astronaut, and another woman brought up size as an issue. It was a great question, but there is no reason - just like with Lasik surgery now removing prior problems with vision limitations - for space suits as well as the vehicles to become more customizable, as well as other medical advances even giving the deaf an advantage similar to what is happening in the world of prosthetics and bionics to replace lost limbs. To be very clear, just as I would have rather been born with a full capacity for hearing, I'm sure those people missing limbs would rather have the ones they were born with and have not had that experience - it's a much larger conversation than a few paragraphs in a blog - but it's meant to be inspiration for those who think they might not be able to ever be an astronaut because they might have some minor or even major disability. A big source of inspiration for the people that attended the workshop was being able to interact with Stott. 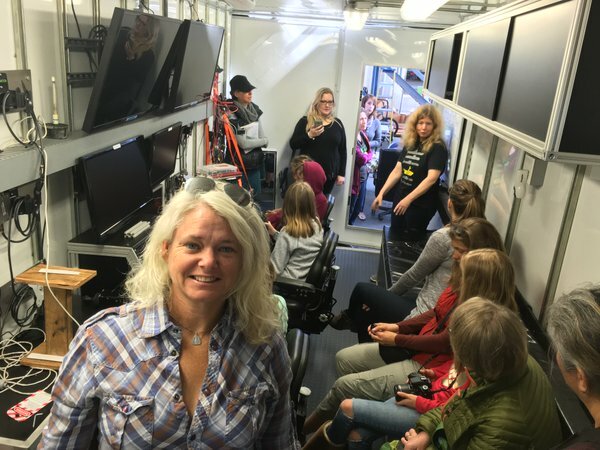 "The biggest thing my daughter and I came away with is that you can actually be an astronaut if you want to, and of course we want our kids to think they can do that," said Tammy Gottschalk, owner of Two Roads Professional Resources. Gottschalk and her daughter were inspired by Stott's background as a pilot, and being able to spend time with Dunn before the workshop started. The greatest message of the Think Like An Astronaut session? It's one of a search for peace. As Astronaut Anoushi Ansari told me when we had a conversation at NASA Ames about her visit to the International Space Station - "The biggest thing you want to do after traveling to space is to come back here to Earth and shake everyone awake." A desire for peace, but a lack of a way to express that to people who haven't experienced Earth from the ISS viewpoint. Ansari is the first Muslim woman in space, as well as one of the most successful business women on the planet. Accomplished New York based film producer Dasha Chase-Snyder, San Francisco, Calif., based Rooftop Elementary School teacher Andi Wong, Jacksonville, Fla. filmmaker and award-winning producer Kim Murray and artist Lauri Keener from Denver, Colo., sent in questions remotely; all three wanted to hear about how Stott communicates that message using her art work. Stott was the first astronaut to pack a mini watercolor kit with her and paint on the ISS, and recently collaborated on an artist's rendition of astronaut suit that is a patchwork of different artists. At the end of Think Like An Astronaut, Nicole told us about a photo she has with her astronaut class. "We are all still so close, because of that tight bond," said Stott, something she's reminded of every time she looks at the photo. Everyone that came to the panel then rushed to the front of the room to get an Epic Astronaut Selfie with Stott. We have you, Stott. Just put up your astronaut signal, and we will totally be there. For the Innovation Camp kids that took part in the free STEAM programming held during the Wonder Women in Technology Conference, we set up a pop-up astronaut experience that gave the camp attendees a chance to try on a NASA Astronaut suit, play with other NASA gear we brought along and ask questions about how to become involved with NASA programs. Everyone loves astronauts, right? Almas Jiwani of the United Nations Canada was the keynote speaker for the conference. When she heard what I was doing for the kids at the conference, she jumped in and joined me. Having her talk about her work at the United Nations was perfect, she was so engaged with all of the kids and answering their questions with enthusiasm, leaving each kid inspired by having a global view for peace from the view of NASA and the UN was perfect. BEEP-BOOP-BWAP-BEEP. 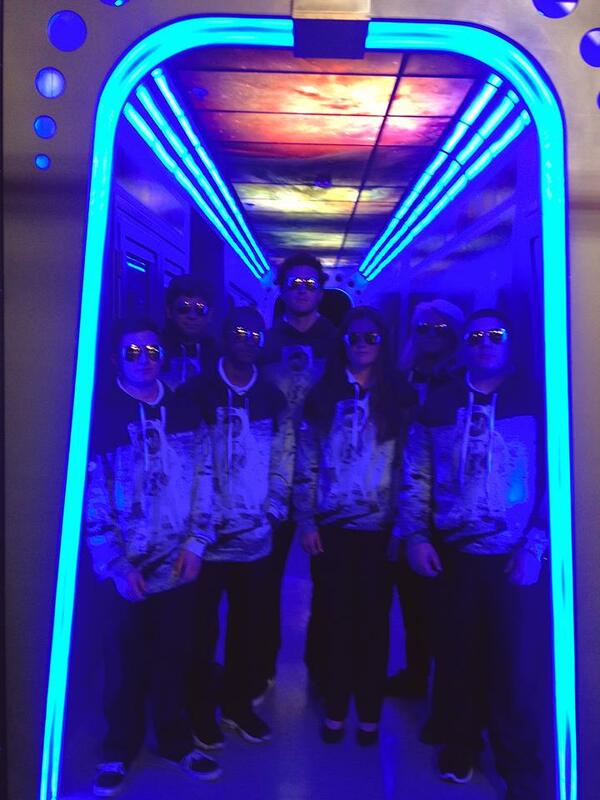 Be An Astronaut Experience. Astronaut on deck; suit needs some adjustments. Patrick Walker from Noble High School took part in the Innovation STEAM Camp held in conjunction with the Wonder Women in Tech Conference. SEE IT & BE IT. Perfect fit is a sign of her destiny as an astronaut don't you think? Makayla Castro from Hughes Middle School in Long Beach, Ca. 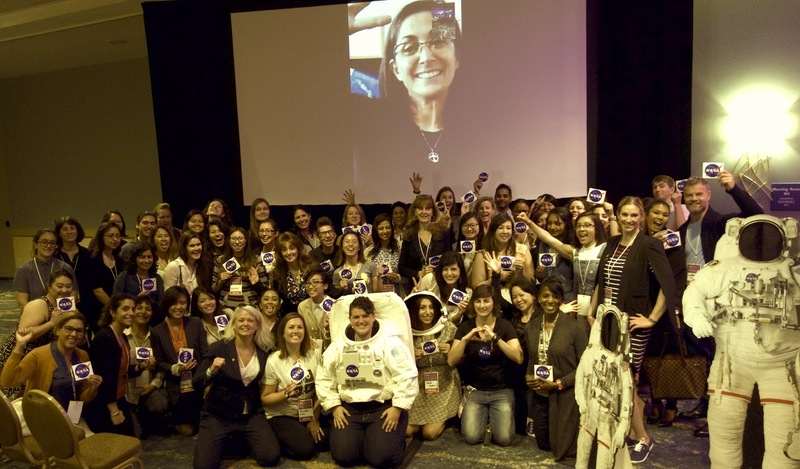 The #BeAnAstronaut #NASAWomen experience put on @wonderwomentech. Fun to get kids that took part in Innovation Camp & Shared Science4Girls suited up! #BuiltbyGirls. 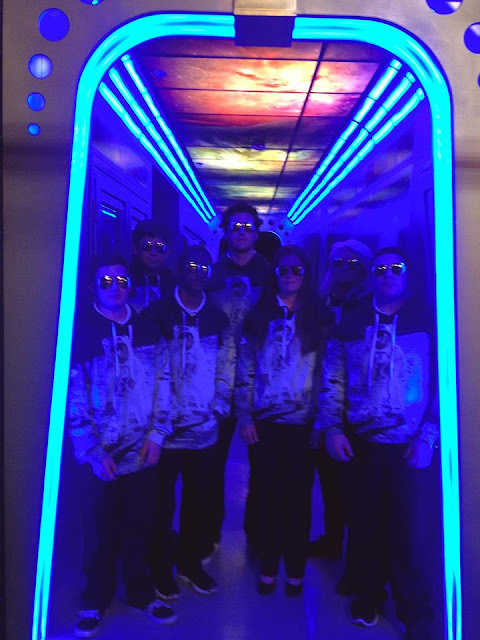 Thanks to @nasa as always for the gear. It's even more rewarding to put the suit on someone else. SUIT UP, SHOW UP. HELP UP. See it, be it, but you need a hand pulling you into the boat when you get there. As we were packing up the @NASA #BeAnAstronaut stuff, I noticed this student in the background. It's Kailin Carter - she had been a part of the Science & #STEAM camp @wonderwomentech. All the boys at the camp jumped to put in the suit; she hung back & took photos and almost missed her chance. We need storytellers, of course, but don't forget to put on the suit when someone offers it. #builtbygirls 🚀. Lan Dang, an operations engineer from the NASA Jet Propulsion Laboratory that also does outreach for Girls Who Code and is a mentor for the NASA Space Apps Challenge, was glad to see students have the chance to take part in the Innovation Camp while also having access to the women from the space industry. 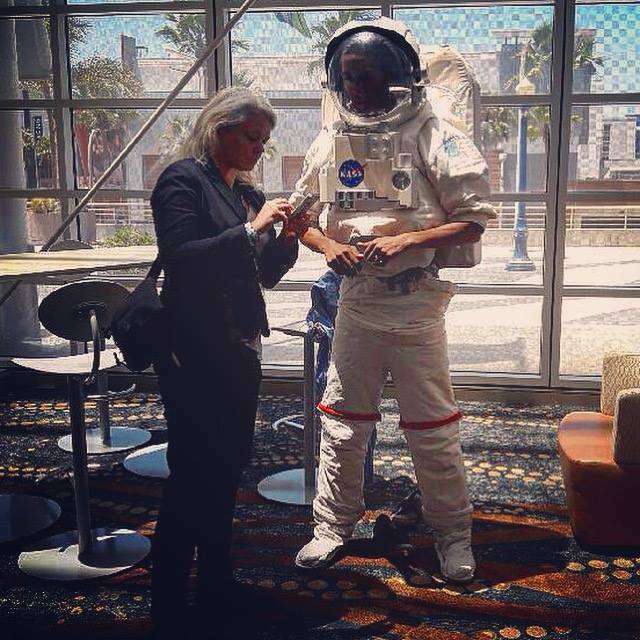 As Tania Katan of It Was Never a Dress, the movement that went viral on Twitter and other social media and I joked, "It was never a dress for women - it was an astronaut suit." friend and kind soul that is an expert in many things, including telepresence and telesurgery. This panel was a mix that represented the way you can be a part of NASA, whether it's organizing STEAMD workshops and panels like me, or partnering with NASA for grants like the X-Prize Foundation's Fuji Lai (telepresence, telesurgery, virtual reality expert). A pack of Smith College interns from different NASA disciplines also joined us. Jessica Feinberg, Su Wei Heng, Alexandra Ruiz and Lucia Simova all drove 12 hours round-trip with a van full of astronaut gear from the NASA to take part in the conference. If you are a CEO of a space-industry company, please hire them, so that they can hire me later. People often ask, "How do I get a job at NASA?" then comment, "I looked at the NASA website, and scrolled through the listings, but didn't see anything that fit me." None of those those jobs fit me either, so I found that if I want to work with NASA my only choice is to build boxes that NASA astronauts and other senior executives want to come play in. 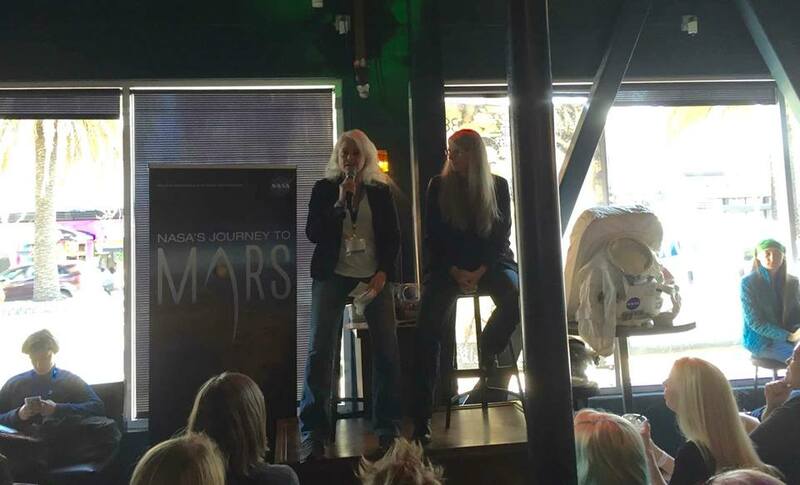 When I heard Dava Newman say that at a Women at NASA panel, it was a great reminder that NASA would be pretty happy for you to develop your own programs in addition to just looking at the standard jobs that are already in existence. For example, NASA recently put a listing of the NASA patents online that are open for people to collaborate with NASA. There is the NASA Space Apps Challenge, a global hackathon that anyone can either join or go ahead and launch your own satellite location. The Space Apps Challenge was not started by NASA, but a NASA fan, and is now supported by top NASA executives. Maybe you have a 3-D printer you want placed on the International Space Station, or have an idea for how to use the reflective surface of the NASA astronaut helmet for sunglasses. There is a fit at NASA for people who truly want one. 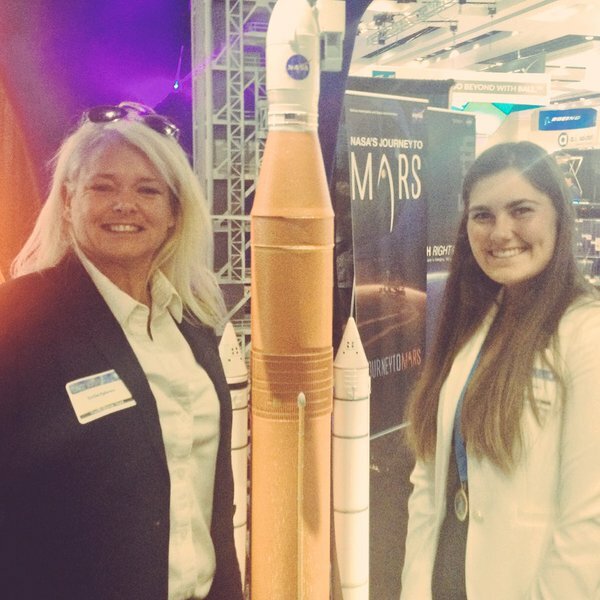 At the Space Symposium in Colorado Springs, Colo. earlier this year, the over 12,000 people present and almost a 1,000 vendors - with NASA just one of many people on the Expo floor - made it clear that this is an exciting time to be in the space industry, with more opportunities than ever for women. Virgin Galactic sent propulsion test engineer Hannah McCallum to this conference, along with advanced manufacturing and integration engineer Nicole Lewis and associate mechanical engineer Whitney Hopple. The trio are a great example of opportunities in the commercial space industry right out of college. For space couple Diana Trujillio and William Pomerantz - she is the Mission Lead for the Curiosity Mars Rover at the Jet Propulsion Laboratory and he works with Virgin Galactic - the new space frontier that is opening up exploration to everyone is exciting. Pomerantz said during an interview he and Trujillio did live at the conference with VoiceAmerica.com that he loves that while there are currently only a little over 500 people that have been into space, over 700 have bought tickets to go there with Virgin Galactic. Of all the astronauts that have been to space, only about 60 have been women, but private space flight will open those doors. Ansari, a business woman, was the first citizen to buy a ticket to the International Space Station. Trujillio pointed out that even launching satellites has become democratized, with cube satellites (can be about the size of a shoe box) already available to almost everyone. With VoiceAmerica.com team. Q&A that highlights the many lessons learned from hosting these three NASA experiences, and the lessons from extreme environments that would be great to see all of us right here on Earth follow: Looking out for the physical and emotional safety of each other. While I put on a Women at NASA Panel with some incredibly accomplished women at a tech conference, this photo involves a presentation at NASA Ames during the Exploration & Science Forum, where I served as the Head of Necessary Ruckus as a part of the Harmless Shenanigans Committee. 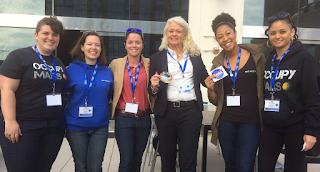 KakiFlynn.us sponsored a Women at NASA panel and Q&A session during a technology conference that focused on women in order to recruit the best tech talent for NASA. 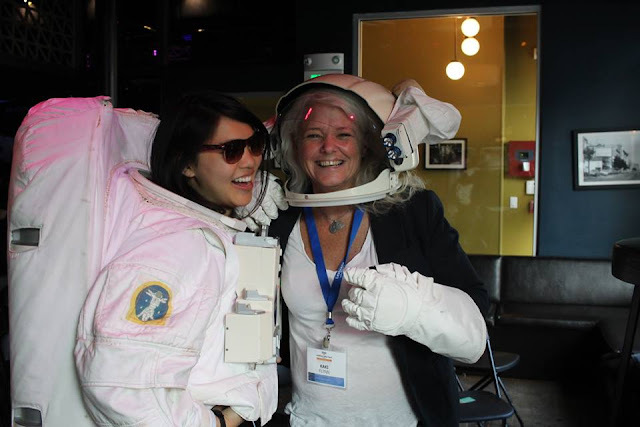 It was an honor and a lot of just plain fun to represent NASA Ames at this sold-out tech conference filled with over 1,500 women that make up the top talent pool in engineering and business. Multinational corporations at the conference include SpaceX, the Jet Propulsion Laboratory, Planet Labs, Accenture, Fitbit, the Central Intelligence Agency, Bank of America, Genentech, Twitter, IBM, Wells Fargo and Microsoft. The conference was kicked off with a letter from President Barack Obama supporting the conference. With globally respected inventor and engineer Megan Smith as his Chief Technology Officer, President Obama knows first hand the significant contributions of women to the tech community. 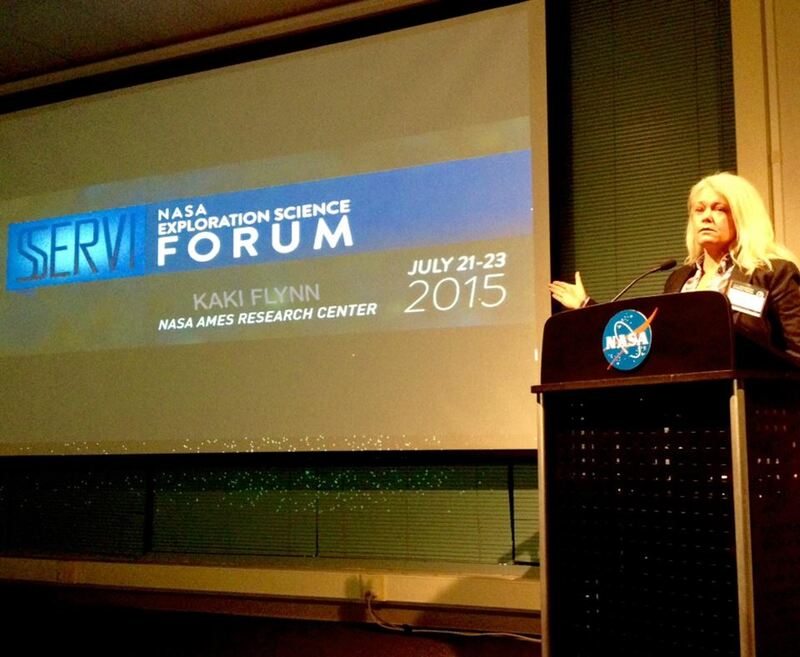 Thank you to NASA Ames senior executive Krisstina Wilmoth for being on the panel with me. 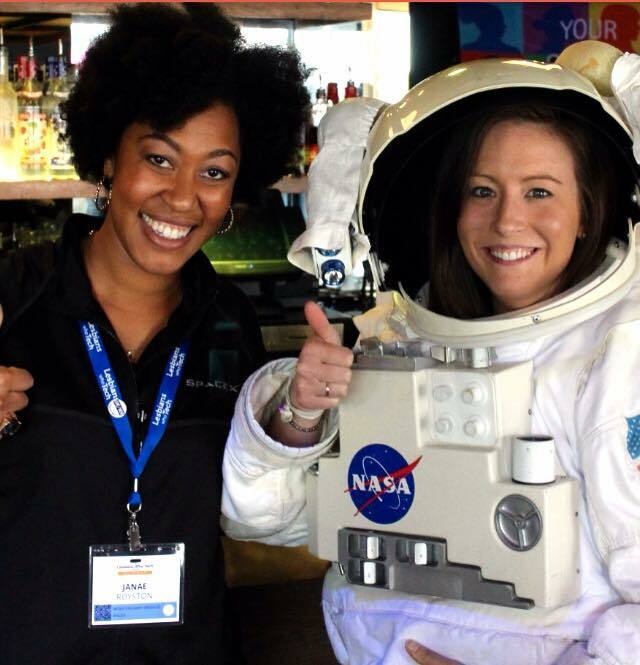 Many of the women at the conference had worked with NASA in some of the internships and fellowships at the different NASA bases around the United States. Two of the women at the panel had applied to be astronauts in this most recent round. Everyone I talked to there had a special NASA memory. "We have a Sally Ride room in our building; we all voted for that. She's always been a hero of mine." "Guarding Poop. That was my job for an entire summer at NASA; the group I was with was testing storage options for human excrement in space; my job was to check up on the storage containers." "We loved the stories about the 40 tampons a day or something really high like that that NASA thought Sally Ride would need in space." 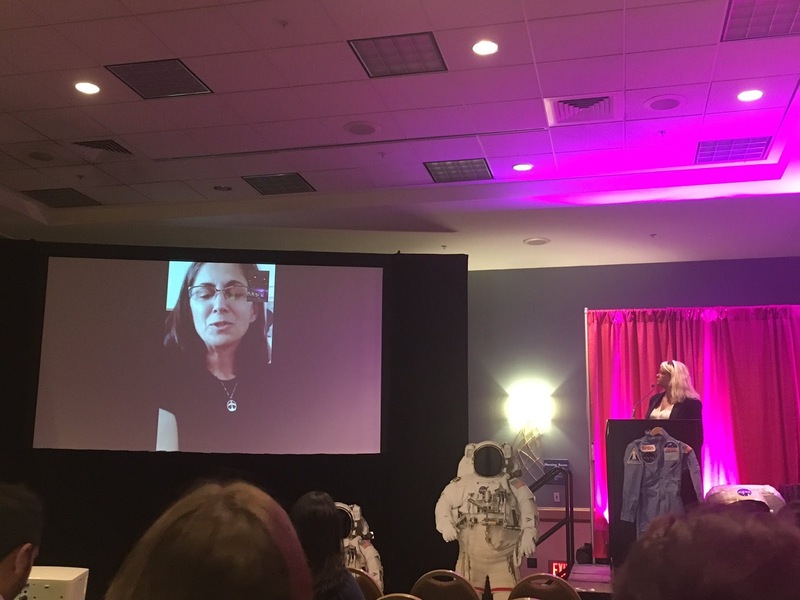 Joy Dunn, the Senior Manager of Dragon Manufacturing Engineering at SpaceX, gave a talk at the conference that inspired the crowd to make dreams a reality. "I've been a space nerd my entire life. I grew up building rockets at the age of five," said Dunn, who plans on being an astronaut herself. Plants, mousetronauts, a 3D printer, and - as Dunn pointed out was probably the favorite payload - real ice-cream - are just a part of what SpaceX has delivered to NASA astronauts onboard the International Space Station. Exploration is, of course, a key part of NASA. Did you also know there are thousands of open tech projects at NASA? Building all of the equipment needed to make those missions happen, as well as developing ways to manage all of the massive amounts of data we are now collecting from all of those missions in a way that is useful is also key. That means a team of engineers from a variety of disciplines is needed to make those projects happen. hosted by the U.S. Air Force Academy at the Space Foundation. Thanks to the United States Air Force Academy for the invitation to the National High School Space Competition called the StellarXplorers. Both a great honor and of course just plain geek fun being a mentor for the Space Symposium competition sponsored by the U.S. Air Force Association and held at the Space Foundation that brought together top students in STEM from around the United States. The intense competition included using both NASA and NOAA data as well as advanced satellite tracking tools. The real-world situations were a welcome challenge for the students, and the Space Symposium and Space Foundation provided a fun, inspirational setting with NASA astronauts, U.S. Air Force officials from many different divisions as well as SpaceX, Boeing and other top executives on hand to speak to the students. 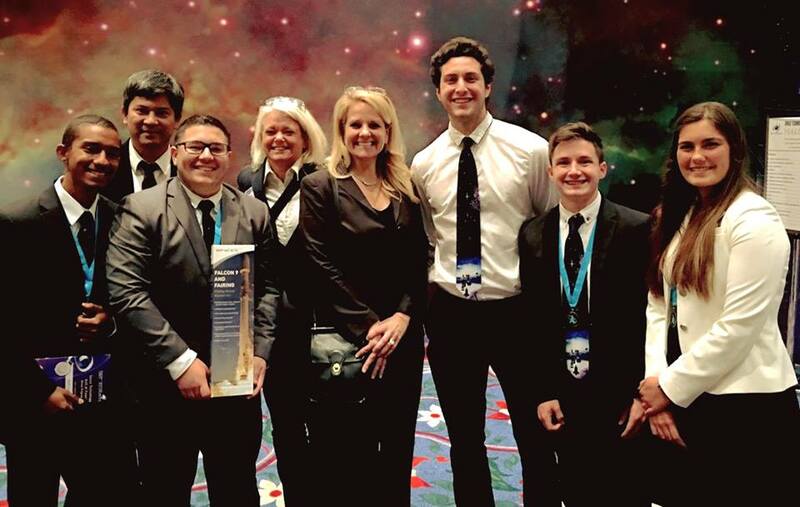 :Thanks to Gwynne Shotwell from SpaceX for going out of her way to meet these AP Physics students. The StellarXplorers program is designed to inspire and attract high school students to pursue science, technology, engineering and mathematics (STEM) education and careers through hands-on learning about technology, emphasizing teamwork and leadership, and exercising critical-thinking skills. StellarXplorers is sponsored by the US Air Force STEM Program, DoD STEM Program, United Launch Alliance, Orbital ATK, Kratos Defense, and SpaceX, as well as additional educational support of AGI, CEI, and the Space Foundation. A big benefit of the StellarXplorers was getting to explore the Space Symposium and meet experts from Boeing to - of course! - NASA. Here with my cousin and AP Physics student and national finalist Sareta Gladson. Her grandfather founded the Los Angeles Maritime Institute, so building vessels to explore the unknown is in our blood. Copyright Kaki Flynn. No material used without permission of author. Simple theme. Powered by Blogger.